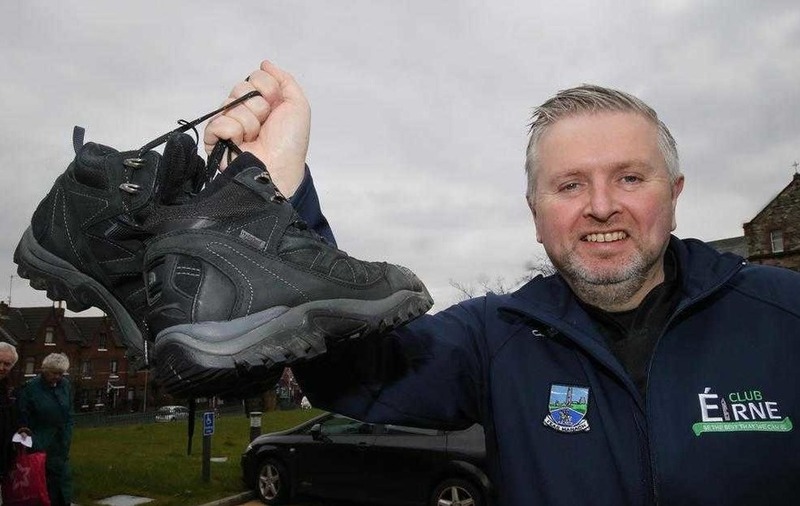 WELL-KNOWN priest and self-confessed GAA fanatic Fr Gary Donegan has dusted off his hiking boots to climb Croagh Patrick next month and has invited others to join him in a bid to raise money for two worthy charities. To celebrate 25 years in the priesthood, the Fermanagh man wants to raise money for Marie Curie and MS Society NI. The Holy Cross, Ardoyne priest will be joined by Rev Bill Shaw for the spiritual climb on May 14 and hopes to recruit at least 100 people to take part. “Somebody said to me: ‘What are you doing for your silver jubilee?’ And I said: ‘I’d nothing planned’. So I thought why not turn it into something positive and I came up with the idea of climbing Croagh Patrick. 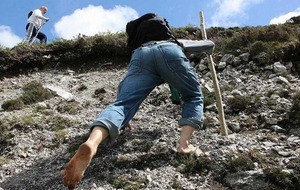 Despite requiring two hips and a knee replacement, the Newtownbutler native is aiming to make it to the top of the 762-metre mountain in three hours: “I’ve never climbed Croagh Patrick before. "I’ve an uncle who’s in his 80s who has one up on me. 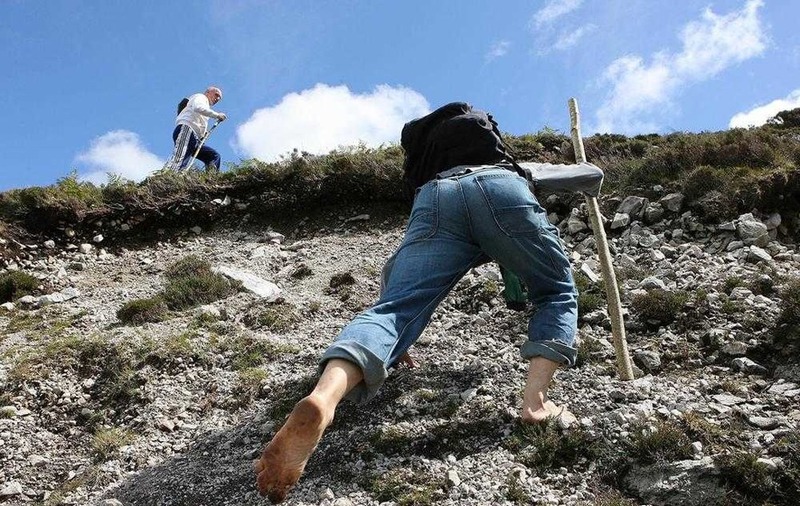 People have been climbing it for over 3,000 years and then it became something of a Christian pilgrimage with Saint Patrick. 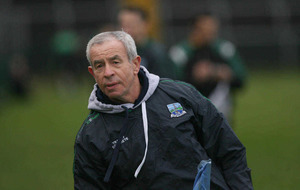 In the early noughties, Fr Gary was a backroom team member for the Fermanagh minors, managed by former senior boss John O’Neill. 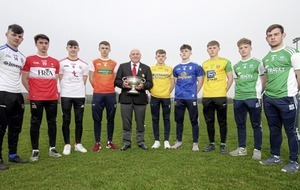 The climb will take place the day before the Fermanagh seniors go head-to-head with Antrim in the Ulster Senior Football Championship preliminary round game at Brewster Park. 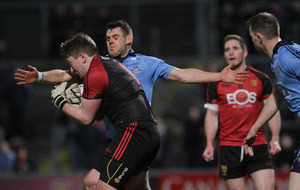 With tongue-in-cheek, the popular north Belfast clergyman insisted his adopted Antrim would be taking on the “second best team in Ireland”: “We’ve been punching above our weight for over a decade-and-a-half now. From Pat King’s time to Dominic Corrigan’s time to the present management team. “I suppose everybody thought a golden era had passed. But Pete McGrath has worked wonders. There seems to be an incredible bond within the team. 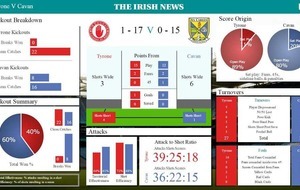 Last year, playing Dublin [in the All-Ireland quarter-finals] gave everyone such a wonderful lift. To make a donation in support of Fr Donegan’s trek on May 14, please visit www.mssociety.org.uk/ms-events/fr-garys-croagh-patrick-challenge-1. Alternatively, donations can be sent to Holy Cross, 432 Crumlin Road, Belfast BT14 7GE, marked Fr Gary’s Croagh Patrick Trek.